Rhett Bennett, Founder and CEO of Black Mountain, established Black Mountain in 2007, and today the organization includes several business units: E&P operations, commercial saltwater disposal, midstream and in-basin frac sand mining. Rhett has served as CEO of Black Mountain Sand since its inception. With a growing supply constraint in the Permian Basin, Rhett built the Black Mountain Sand business to satisfy a void in the market for a high quality, cost-effective in-basin frac sand. Black Mountain Sand continues to expand to other basins, producing quality in-basin sand that provides significant cost savings for E&P operators nationally. In 2017, Black Mountain Oil and Gas I (BMOG I) sold its New Mexico assets to Marathon Oil Corporation for $700 million. Through its partnership with NGP, a premier energy Private Equity fund based in Dallas, Texas, Black Mountain continues to identify opportunities to extract value from across the energy sector. 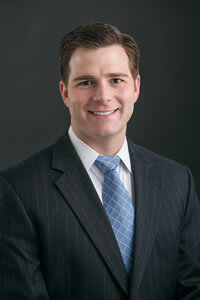 Rhett earned his Bachelor of Science in Business Management from the University of Georgia in 2003, and completed the Energy Executive Management Program at the University of Oklahoma Michael F. Price College of Business in 2012. Rhett is a member of many industry organizations, serving as a Board Member of the Texas Alliance of Energy Producers, as a member of the Executive Committee of the Fort Worth Wildcatters, the Independent Petroleum Association of America (IPAA), the Texas Independent Producers & Royalty Owners Association (TIPRO), the National Association of Royalty Owners (NARO), the American Association of Professional Landmen (AAPL), Young Professionals in Energy (YPE), and the Fort Worth Petroleum Club.